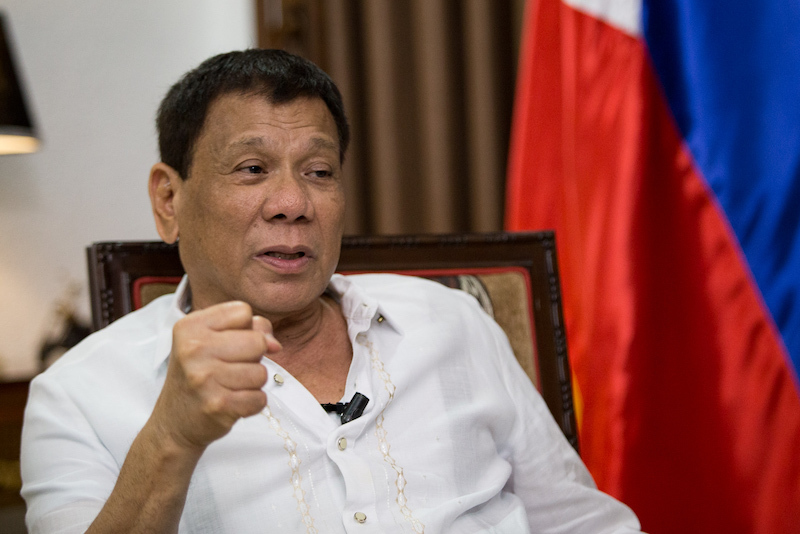 Asked what he meant by going “lower,” Duterte, in a sit-down interview with MindaNews at the Presidential Guest House in Panacan on Friday said the CPP-NPA-NDF should watch their language. “Kung magsagot sila, akala mo sino, wala namang, put…na.” (The way they answer, they’re so arrogant), Duterte said, adding, that when the Central Committee is gone, the NPA would be useless as they would be left only with Lumads (Indigenous Peoples) they have been exploiting. “They have no ideologues,” he said. “Unless,” MindaNews asked. “Bumaba muna sila” (they come down), he replied. 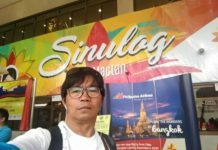 “Gusto ko si Sison pumunta dito. Kaming dalawa mag-usap, kaming dalawa lang dito sa kwarto” (I want Sison to come here. The two of us will talk. Only the two of us here in this room), Duterte added. Sison is Jose Ma. Sison, NDF chief political consultant, founding chair of the CPP and Duterte’s professor in Political Thought in college at the Lyceum University. The NDF represents the CPP and NPA in the peace talks. “Are the doors totally shut?” MindaNews asked. “I don’t know but it would need more than just a show of good faith,” Duterte said, recalling that when he spoke with Sison about the NPA killing his soldiers and policemen during the ceasefire, Sison allegedly replied they had no control of their forces because of limited communication. “When the time came for a termination (of the peace talks), suddenly all those, the activity is activated, everywhere anywhere and they start waging a war against the government,” he said. Asked if branding the CPP-NPA as a “terrorist organization” will solve the problem, Duterte admitted it won’t. “No, but it can lessen their number,” he said. “You’re talking body count here,” MindaNews asked. “Yes. Correct. Exactly correct,” the President said as he narrated that what triggered his anger that eventually led to his calling off the peace talks was the death of a six month old baby inside a police vehicle that was ambushed by the NPA. Duterte was referring to the November 11 ambush by the NPA in Barangay Tikalaan in Talakag, Bukidnon, where a policeman in a police vehicle, and a four-month old (not six months) baby girl in a Fortuner that followed the police, were killed. Two adult civilians in the Fortuner were also injured. “Put__na nila. 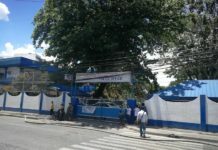 Ni hindi sila makahawak ng isang barangay sa limang oras akala mo kung sino” (They can’t even hold a barangay for five hours). he said. Duterte noted that he had asked the communists to be part of government, to go back to the mainstream society if they want to. “I’d be happy to appoint yung mga bright nila but not with the law enforcement and the armed forces. It’s a no no for them,” he said. At the start of his term, he gave key Cabinet positions to the left — Agrarian Reform, Social Welfare, National Anti-Poverty Commission. The first two were rejected by the Commission on Appointments. The third has stayed on as there is no need to go through the CA. As OIC Vice Mayor in 1986 – 1987, Duterte had repeatedly said you cannot solve the problem of insurgency unless you address it at its roots. 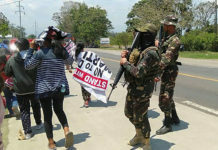 “The problem now is they are not actually addressing the roots, they are out to take out government and … assassinating (people),” he said, claiming two or three barangay captains are killed a day. Hopes were high on the first year of Duterte’s six-year term that a peace agreement would be finally forged after more than two decades of peace negotiations.